Promises are made to be kept. 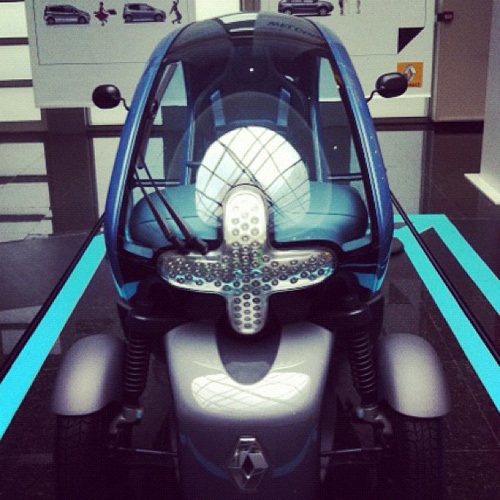 The winner of the “Renault Car of the Summer” is none other than the electric two-seater, Twizy. 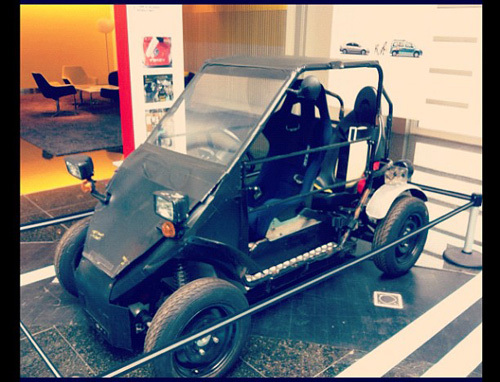 We promised you a blog entry on our little “unidentified driving object”, and here it is. 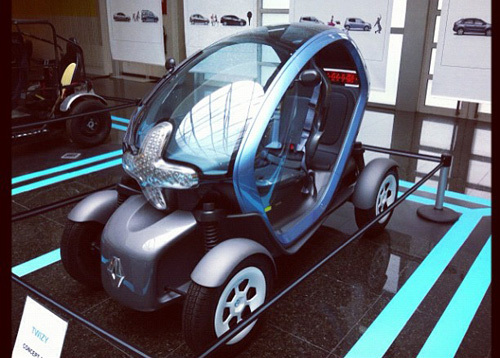 Join us as we take a look back at the birth of Twizy – in the days when it was still called “MOCA” – with one of its “dads” , Yves Dubreuil, former deputy head of “DREAM”, Renault’s Department of Research, Advanced Studies and Materials. 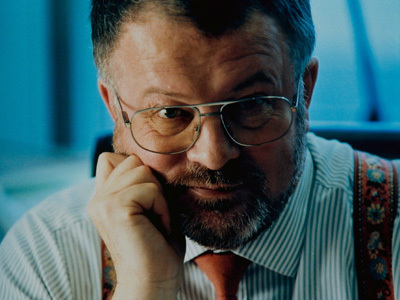 It was in 2006 that Renault’s freshly appointed Chairman and CEO Carlos Ghosn set up a cross-cutting group, of whom Yves Dubreuil and a dozen other professionals from a broad range of backgrounds. Headed by Laurent Fofana, the group’s remit was to find a new “pocket of business”. In other words, the best idea for boosting Group revenues. 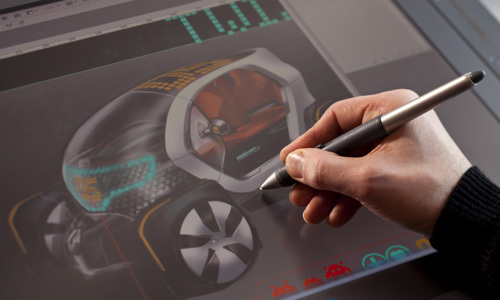 The design brief focused more or less immediately on a full-electric – and affordable – vehicle, half way between moped and car, hence the in-house code name MOCA (“MO” for moped and “CA” for car). A similar project by BMW had recently been axed. Working as a “Cooperative Innovation Laboratory”, the team began with a brainstorming day in a studio in Barcelona. It tried out models of every configuration possible, for 2, 3 and 4 people, always in the most compact body possible. The second phase consisted of real-life tests in Paris. The team compared the space taken up by different vehicles at average real speed. The models tested included a Twingo, a quad and a motorbike with panniers. The main finding was that a huge chasm exists between small cars (1.60 m) and a motorbike with panniers (1.10 m wide). And our little MOCA had to fill that gap. The problem, though, is that extremely narrow vehicles are prone to rolling over, especially when cornering. Whence the third phase in the project: tests at Aubevoye, where the team trialed a prototype developed by a Swiss engineer. The prototype inspired the team to choose the lowest possible centre of gravity. 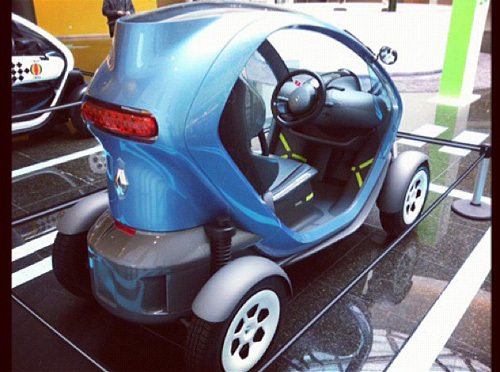 And why no windows on Twizy? Yves Dubreuil quickly abandoned the idea of windows because Twizy occupants are sheltered except when at a halt or in the rain. Left to his own devices, Yves would also have jettisoned the windscreen! Now all that remained was approval by the Chairman and CEO. The approval process was conducted with the requisite security and confidentiality conditions. Carlos Ghosn tried out the prototype in the parking lot of the head office in Boulogne-Billancourt, from which employees were barred for 90 minutes. After a few drives around the “13-15” lot, he handed down his verdict to Yves Dubreuil with a smile, “We need plenty more like this one”. So the project was approved. Next came a new prototype, a basic version made up of tubes, used in real-life conditions in Paris to shoot a presentation film (with no spy shots!). A further prototype followed, much more subtle this time, featuring electric-vehicle attributes such as the battery and its + and – symbols, the remains of which can be found in the fire shape on the rear of Twizy today. 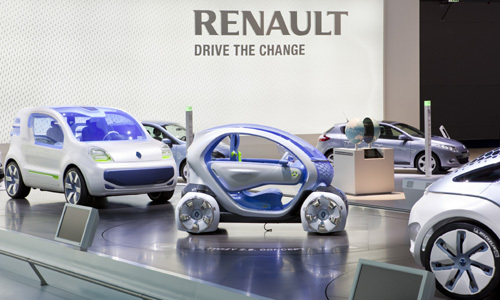 A concept car was put together quickly and presented at the 2009 Frankfurt Motor Show as a member of the Renault Z.E. range and going under the name of Twizy Z.E. 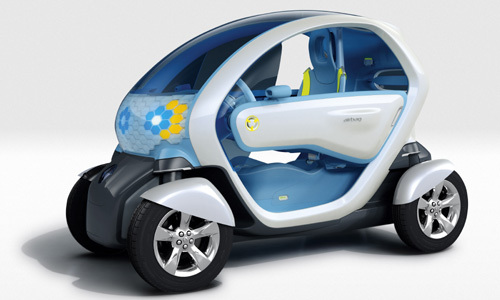 Concept, with Twizy being short for “Twin-Easy”. 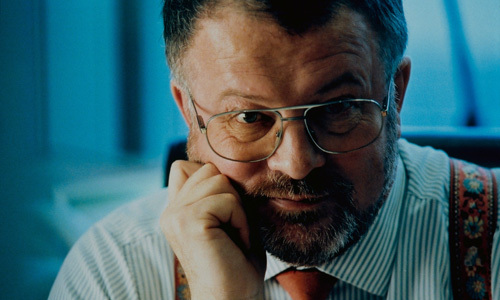 “To convince, innovation has to create value” - Yves Dubreil.